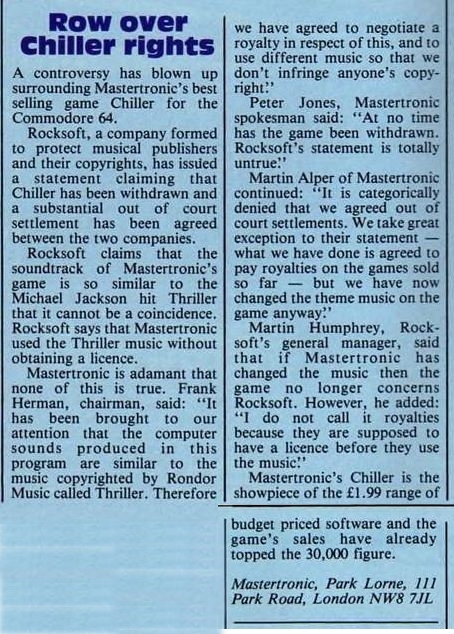 It was foolish to release a game that not only ripped off Thriller but used the original musis as well. 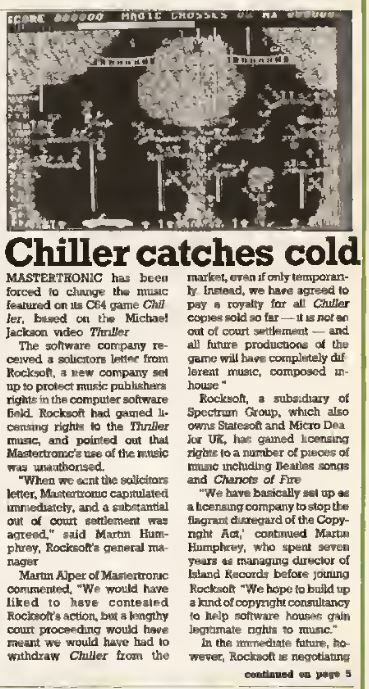 By the time I joined the company, Chiller was no longer an active product so I don't recall details of how much was paid in damages. The left hand article was in Popular Computing Weekly, 1 November 1984, and a slightly different interpretation was in Home Computing Weekly on 6 November (on the right). I don't know who spokesman "Peter Jones" was; perhaps a legal advisor.